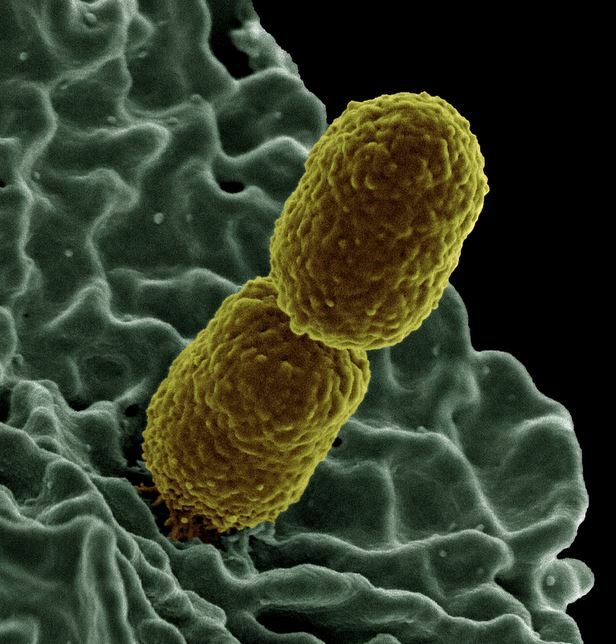 Caption: Colorized scanning-electron micrograph showing carbapenem-resistant Klebsiella pneumoniae interacting with a human white blood cell. Over the past year, the problem of antibiotic resistance has received considerable attention, with concerns being raised by scientists, clinicians, public health officials, and many others around the globe. These bacteria are found not only in hospitals, but in a wide range of community settings. In the United States alone, antibiotic-resistant bacteria cause roughly 2 million infections per year, and 23,000 deaths . In light of such daunting statistics, the need for action at the highest levels is clear, as is demonstrated by an Executive Order issued today by the President. Fighting antibiotic resistance is both a public health and national security priority. The White House has joined together with leaders from government, academia, and public health to create a multi-pronged approach to combat antibiotic resistance. Two high-level reports released today—the White House’s National Strategy for Combating Antibiotic-Resistant Bacteria (CARB) and the complementary President’s Council of Advisors on Science and Technology (PCAST) Report to the President on Combating Antibiotic Resistance—outline a series of bold steps aimed at addressing this growing public health threat. Research supported by NIH will undoubtedly play a critical role in this effort. Areas in which biomedical science is poised to make progress include improved detection and tracking of pathogens by simple and accurate diagnostics, identification of novel drugs for treating bacterial infections, and development of the next generation of vaccines. Enhanced surveillance of antimicrobial resistance will draw on cutting-edge genetic sequencing technologies, developed and deployed by the NIH and our colleagues at the Food and Drug Administration (FDA) and the Centers for Disease Control and Prevention (CDC). For example, until recently, the standard approach for detecting resistant organisms involved “pulsed gel field electrophoresis,” in which the read-outs were dark bands corresponding to long stretches of microbial genetic material. This was a rather blunt tool for organism identification, and so precisely pinpointing the origins of a given outbreak was difficult. Today, with rapid DNA sequencing technology, specific genetic signatures can be detected within hours to days, enabling us to draw direct linkages to outbreak sources and to track their spread. This approach has been used successfully in outbreaks in healthcare facilities and in a small pilot project tracking foodborne illnesses. Based on these and other experiences, the White House and its scientific advisors are recommending expansion of DNA sequencing capacity and collection of those microbial genetic sequences in a centralized National Database of Resistant Pathogens. Such an open-access forum will allow users to compare an outbreak strain to those already in the database, telling us whether the strain is “new,” and if not, where it was first observed. Tracking organisms to their sources can be instrumental in their control. To encourage the development of innovative diagnostics, the Department of Health and Human Services plans to offer a prize of up to $20 million to the first group(s) to develop a rapid, point-of-care test that can be used to identify highly resistant bacterial infections. With “real-time” detection, healthcare providers would be able to identify infecting pathogens and resistance factors within hours, rather than the 48-72 hours or longer that culture requires. Such knowledge would allow tailoring of therapy, thereby minimizing the broad-spectrum antibiotic approach used by many clinicians today, in which they take aim at a broad array of bacteria while awaiting culture results to identify a specific bacterial target. This potentially unnecessary use of broad-spectrum agents contributes to the development of resistance and antibiotic-associated illnesses, such as severe diarrheal infections caused by Clostridium difficile. With rapid diagnostics, healthcare providers could quickly select the right drug to fit the patient’s infection. Overuse of antibiotics can also be curbed through prevention of infection. The reports emphasize infection control in healthcare settings, but also recognize the importance of basic research, particularly that leading to the development of vaccines. Experience with Haemophilus influenzae type B and pneumococcal vaccines has shown that infection rates can plummet with appropriately targeted vaccines. Researchers at the NIH and our partner organizations are working hard to develop vaccines for a variety of drug-resistant organisms, including methicillin-resistant Staphylococcus aureus (MRSA) and Neisseria gonorrhoeae. Another priority is the development of new antibiotics. With the attraction of developing blockbuster drugs for other conditions and the uncertainties regarding the profitability of antibiotics, private sector investments in antibiotic development have dwindled. Moreover, the most threatening of antibiotic-resistant organisms, such as carbapenem-resistant Klebsiella pneumoniae, tend to appear sporadically in healthcare institutions, often in the sickest of patients in intensive care units. These factors make large-scale clinical trials particularly challenging. To help address this problem, the NIH is working with an existing network of infectious disease clinical trials experts—the Antibacterial Resistance Leadership Group (ARLG)—and private industry to expand our ability to conduct clinical trials on new antibiotics. ARLG is planning to establish clinical trial sites in healthcare institutions across the country. These sites would collaborate on clinical trial designs that could be applied to multiple drug candidates, thereby avoiding duplicative effort. Companies could partner with the network, bringing promising drug candidates to patients who need therapeutic options. This approach could help attract private industry drug development while providing desperately needed tools for healthcare practitioners. Such biomedical research, combined with antibiotic stewardship efforts in healthcare settings, and minimization of antibiotic use for non-health purposes (e.g., promoting growth in livestock), could help curb the rapidly growing threat of antibiotic resistance. The ambitious agenda will only work, however, if it is paired with expanded commitment from government leaders, private industry, health practitioners, and the general public. We all have a stake in this problem, and we will all need to work together to solve it.